At Grey Collars, we care deeply about the quality of life for all pets. Always take care of your pet, and your pet will take care of you. Grey Collars is happy to assist in your Dog Rescue Organization's fund raising efforts. 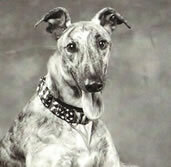 We contribute to Greyhound Rescue Organizations and other Dog Rescue Organizations around the country. Contact us to make arrangements for a product donation to support your fundraiser's door prizes, silent auction, etc.